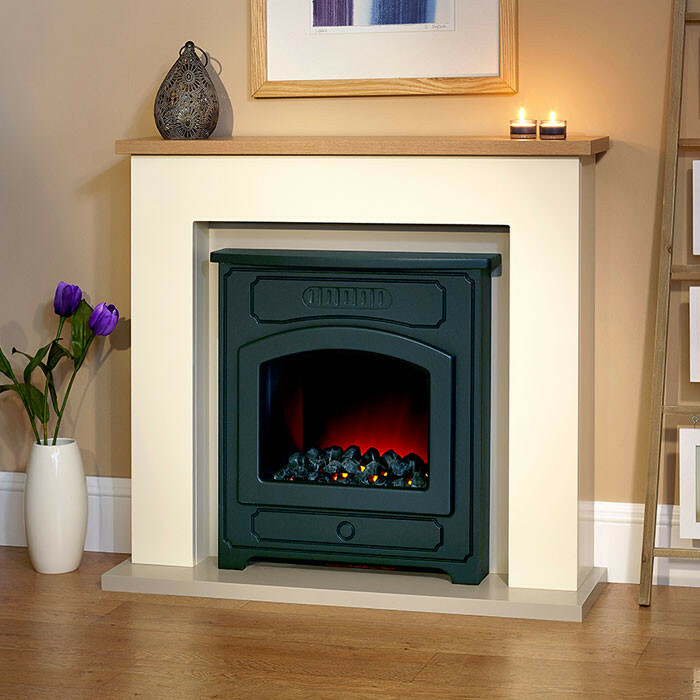 The Suncrest Thornton is a traditional stove fronted free standing fireplace. 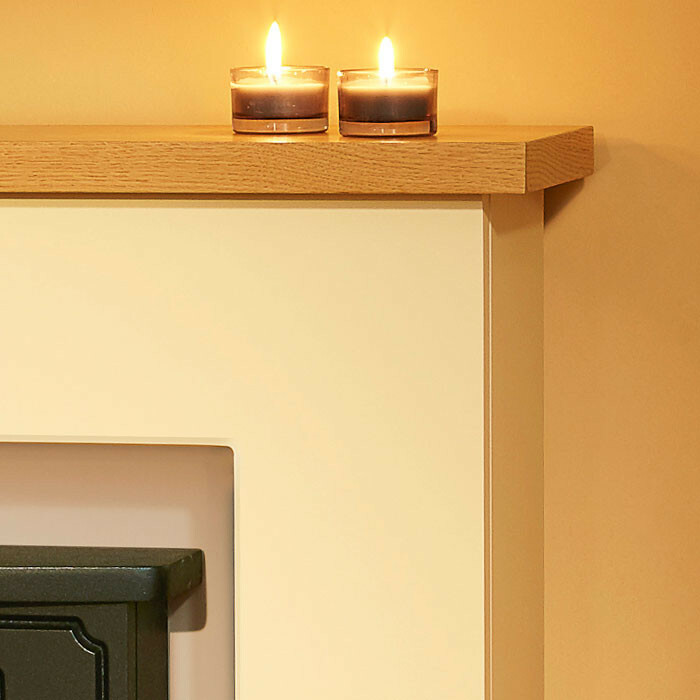 Housing the electric stove the Sandstone effect fireplace contains a deep Natural Oak effect shelf and recessed Stone Grey back panel with matching hearth. 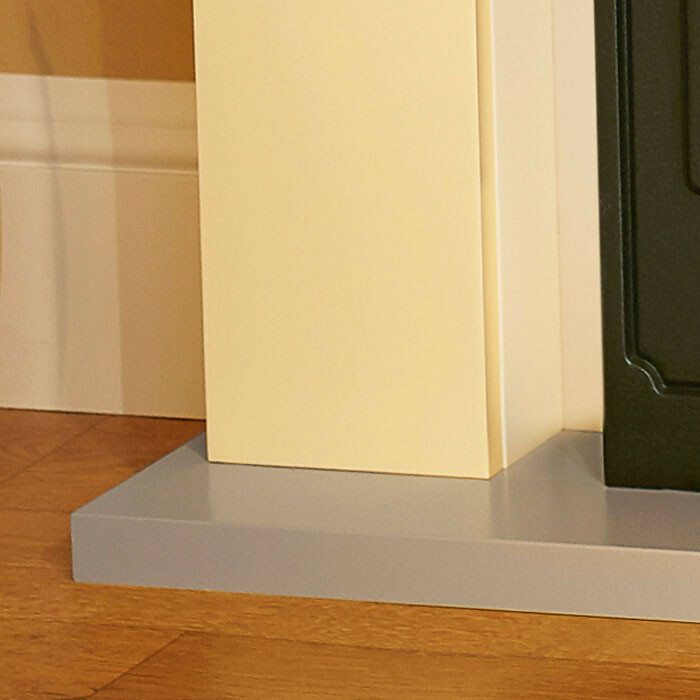 The Suncrest Thornton is a complete free-standing unit allowing for a focal point to be created in almost any room whilst remaining simple and easy to install. With the fire being completely housed within the fireplace this allows for the suite to be located against a flat wall. There is no need for a chimney, flue or recess and is simply plugged in to a standard electric socket. 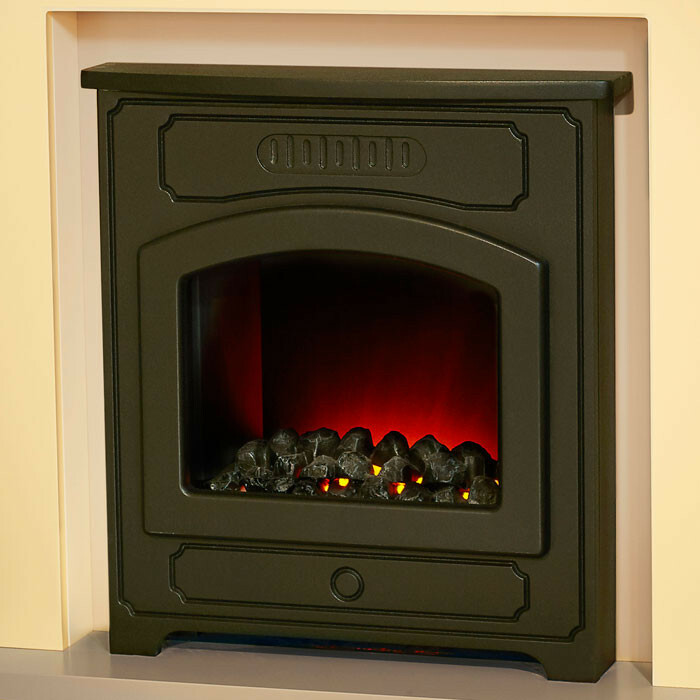 The built-in fan heater allows for 1kW or 2kW of heat. This in cooperation with the thermostatic control provides a warm cosy feel to the room. At times when the heat is not required, the flame effect can be used independently from the heat. This timeless design of the Suncrest Thornton enables this suite to suit both traditional and modern settings. The compact dimensions allow this suite to fit effortlessly in to any most surroundings.